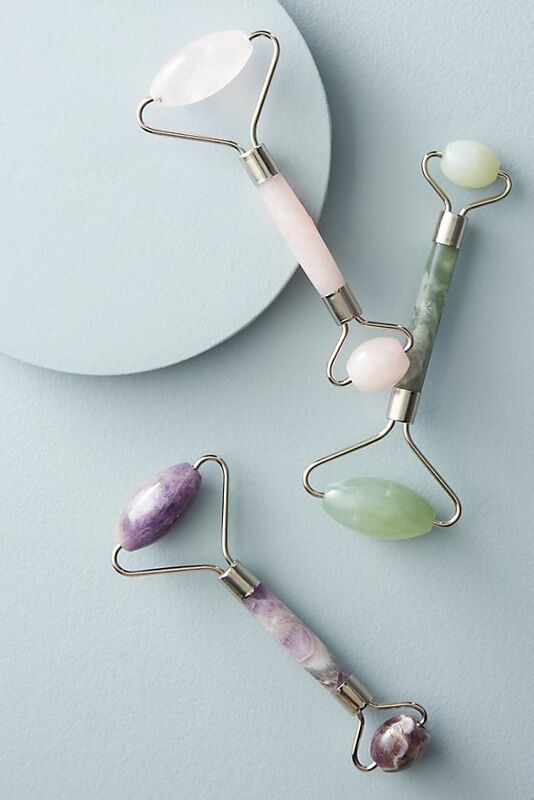 By now, you've probably seen or heard about gemstone facial rollers. These dual-ended facial massagers help to release facial tension, help with the absorption of oils and serums, and according to crystal healers have the ability to ward of stress and bad energy. Whether you believe the claims or not, gemstone rollers are a fun beauty trend to try. The first step to trying a facial roller is choosing your gemstone. There are many different options to choose from. We recommend trying jade or rose quartz. If you opt for a jade roller, you'll see a reduction in inflammation and water retention. This stone is known for its healing properties and is great for those with easily irritated skin. If rose quartz seems more like your style, you'll notice the smoothing out of your fine lines and wrinkles. Rose quartz is known for reducing the signs of stress and promoting circulation. Gemstone rollers are super easy to use. Simply apply your favorite oil or serum to your skin and roll upward along the contours of your face. You can even chill your roller in the fridge, before you use it on your face. The cooler temp will help to reduce puffiness. Once your skincare is massaged in, you can complete the rest of your daily routine. We hope you enjoyed this article. Gemstone rollers can be found at Sephora, Amazon, or other online retailers. With the arrival of warmer weather, it's time we start getting more serious about sun protection. Finding the right formula of sunscreen, can be tricky. There are plenty of options on the market, from creams, sprays, and even powders. One of our favorite lines of spf is, SUPERGOOP! 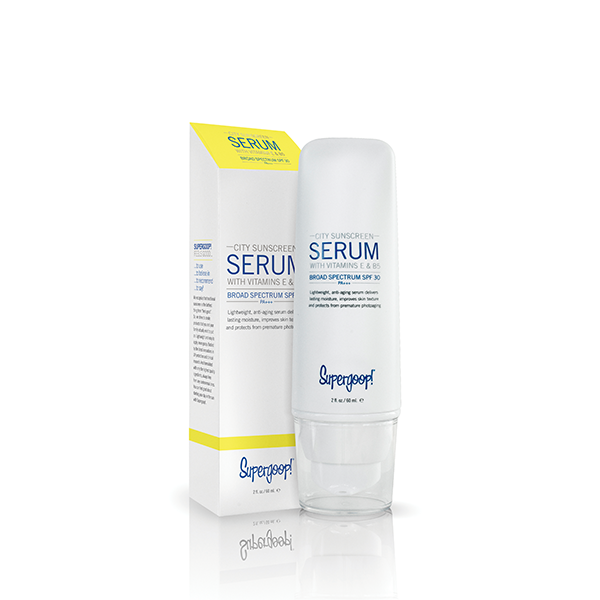 We love SUPERGOOP for their incredible formulas, commitment to non-toxic ingredients, and great range of products. We've hand selected a few of our faves, from the line. We hope you get around to testing SUPERGOOP, for yourself! 1. The City Sunscreen Serum tops our list because it's perfect for year round sun protection. Remember, just because the sun isn't out, doesn't mean you shouldn't be wearing your spf. We like to layer this serum under our day to day makeup. It's lightweight but leaves the skin feeling soft and smooth. 2. Don't forget to protect your lips, from the harmful summer rays! We love that SUPERGOOP has developed a lip and cheek product that not only looks great but provides you with plenty protection from the sun. The Perk Up Lip and Cheek Tint is great for all skin tones and is the perfect way to transition your beauty look from picnic at the beach to drinks at the pier. 3. Lastly, we are loving the Invincible Setting Powder! This powder is great for setting your makeup or can be used throughout the day, to touch up. 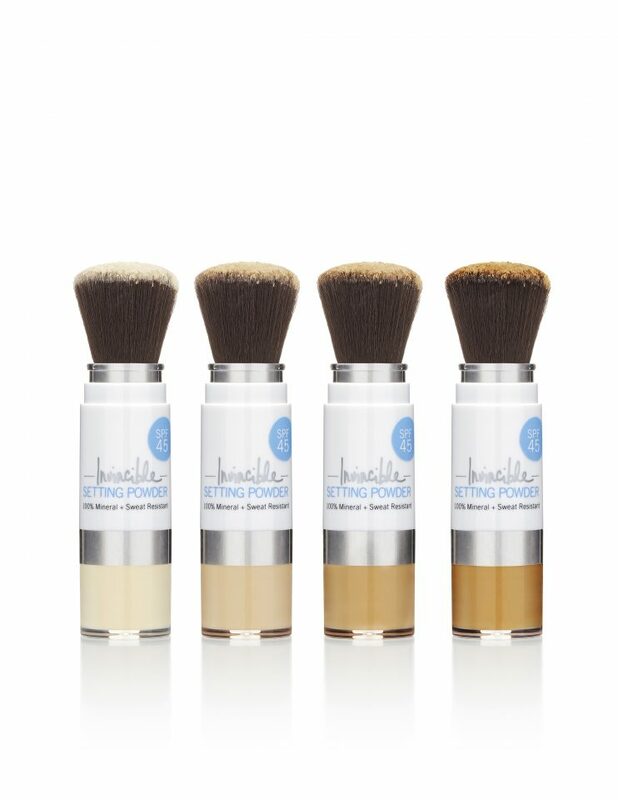 It comes in four different shades and has a retractable brush head, for easy application. Toss it in your beach bag or makeup bag and you'll be good to go.